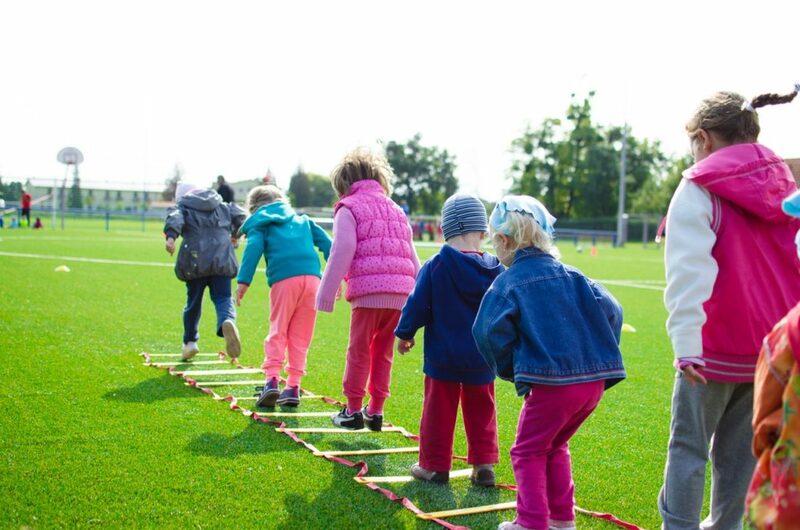 The Benefit of Exercise for Cognitive Development: How to help your child improve their learning - SENsational Tutors Ltd.
Kindly written by David Ashaolu, a qualified PE teacher in KS 2-4, personal trainer and former professional footballer. David runs workshops about the benefits of exercise through a Sports and Nutrition company as well as After School boot camps for Parents and Staff. He participates in Charity Runs and completed various courses, including the Bear Grylls Survival Course. Research indicates that inactive children are likely to become inactive adults, putting young people at risk of developing life-threatening conditions such as heart disease and cancer. This is why it’s important to encourage exercise and keeping fit from a young age. We are well aware of the physical benefits of exercise on our health. Exercise improves Cardiovascular fitness and strengthens the bones, heart and muscles. Regular exercise reduces blood sugar levels and helps with weight control. It enhances emotional well-being, lowers stress and gives a ‘feel-good’ boost. Engaging in regular physical activity is also an opportunity to socialise and can help us sleep better. These factors are particularly important for children. However, aside from physical health, psychological and mental health is another important factor. Researches show that exercise can improve concentration, executive function and behaviour. Regular exercise can boost the size of the hippo-campus, which is the part of the brain which is responsible for verbal memory and learning. Regular exercise can significantly reduce insulin resistance and inflammation, and stimulates the release of growth factors for healthy brain cells. Here’s why it is important to encourage young children to engage in regular physical activity and how you can help them exercise. Childhood is an important and sensitive stage in cognitive development. Cognitive abilities include: attention and focus, thinking, learning, behaviour, regulation of emotional and memory. The cognitive benefits of exercise can be seen short term – directly after exercise has taken place, or long term – through improved academic grades and behaviour. Studies have shown the positive impact of exercise, both regular and irregular, which leads to an increase in the level of oxyhemoglobin, facilitating the operation of executive functions for up to 30 min after exercise. The consistency and intensity of physical activity in children aged 13–14 positively affects their ability to focus their attention on a given task and improve cognitive flexibility and operational memory. Students who engage in sports on a regular basis are also calmer during lessons than those who don’t.Physical activity outside of school hours enhances selective attention. Just 12 minutes of aerobic exercise can improve the selective attention of children. Children and young people aged 5-18 should take part in moderate to vigorous physical activities for at least 60 minutes every day. Moderate intense activity means working hard enough to raise their heartbeat, so they breathe harder and begin to sweat, but are still able to talk. Your child does not need to take up swimming, be a champion athlete or budding professional footballer to exercise well. They can do this indoors and within the classroom if needed. Brisk walking and circuit-training style exercises such as star-jumps, skipping, mini-sprints and sit-ups, are all sufficient to raise the heart rate and achieve the desired effects of exercise. Regular exercise can be defined as Physical Activity that is PLANNED, STRUCTURED, REPETITIVE and PURPOSEFUL. Pre-learning exercise allows children to let off steam and anxiety before their learning to improve focus. Examples of good exercise include running, dancing and dynamic stretches. During learning, exercise helps children concentrate, and structured breaks help in particular children with ADHD meet their higher demands for expelling excess energy. Examples include Bouncy Bands, bike pedals underneath desk, and sitting on a bouncing/exercise ball or wobble stability cushion during lesson time. For structured breaks they can do wall press-ups, star jumps or walking. Post-learning Exercise (Stretches) gives time for the body to reflect on and retain new learnt information, as well as relieve tension built up whilst sitting down for learning. Examples exercise include stretching and yoga-style exercise. A good technique is to incorporate exercise into learning, for example trampoline maths for leaning timetables, Jumping Jacks & Bouncy Chairs, Hopscotch Maths & Spelling, Act Out Stories, Homework warm-ups, Fitness Breaks & Cool-downs, White Board Fitness Games, Acting Out Scientific Concepts, Teach Measurement Through Jumping, Wii-style educational Activities. Use a visual structured timetable – showing learning, breaks and exercise. Consider any medical conditions that might affect their ability or safety when participating in their chosen activity, and always consult a with medical specialist where appropriate. You don’t need to purchase expensive gym-style exercise equipment to achieve a good exercise routine at home. Think creatively and look around the house for items you already have, such as bouncy bands, bike pedals, bouncing/exercise balls, and wobble cushions. Remember to start each exercise session with a warm up, encourage your child to take fitness breaks and finish with a cool down. At SENsational Tutors Ltd, we aim to inspire a love of learning through fun and exciting activities. We offer tailor-made behavioural support packages in London to transform the wellbeing of children and parents. This can be combined with additional learning support, if necessary. Fore more ideas to use at home read our blog on how to boost your child’s self esteem. Register here to receive information about our services, including our FREE webinars!